It's no secret. 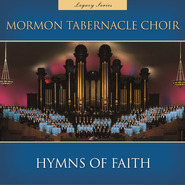 The Mormon Tabernacle Choir just keeps getting better. 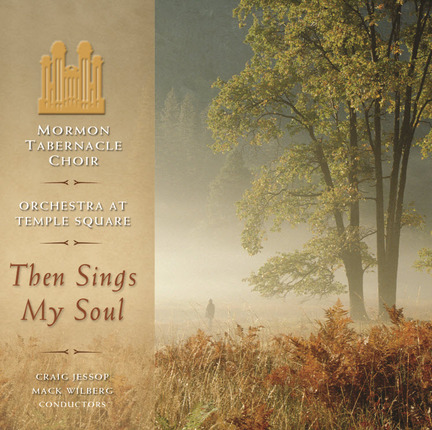 Now, some of the Choir's most requested music has been newly recorded for Then Sings My Soul. 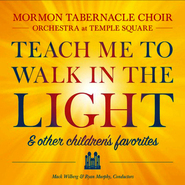 From the glorious, soul-stirring hymn "The Spirit of God Like a Fire Is Burning" to the soothing strains of "Lead, Kindly Light" and the sing-along melody of "There is Sunshine in My Soul Today," each song in this collection is a time-honored favorite. 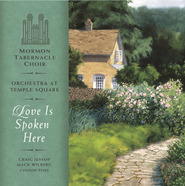 Then Sings My Soul includes associated conductor Mack Wilberg's magnificent new arrangements of such classics as "High on the Mountain Top," "How Firm a Foundation," "Redeemer of Israel," and "Jesus, the Very Thought of Thee." 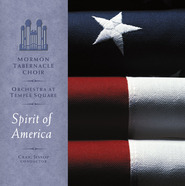 Also featured are updated versions of perennial favorites like "O Divine Redeemer," "The Lord's Prayer," "How Great Thou Art," "I Know That My Redeemer Lives," and "Abide with Me." 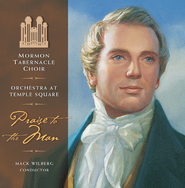 It puts the spirit into my home every time I put this CD on. 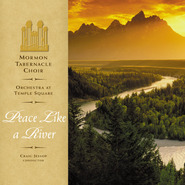 I love hearing songs from the tabernacle choir. It buoys me up when I listen to them. This is a really good, relaxing, beautiful collection of music. I sometimes listen to it as a I go to sleep. I love listening to this CD. It fills my home with the Spirit. I listen to this CD when I down or need to "re-group". It is very calming and relaxing. I recommend it for all, even children. 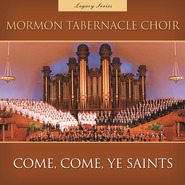 I love to listen to this CD on Sundays. It is so uplifting and is definitely a CD that I listen to over and over again. I also like to listen to it while I'm driving. Good music, as expected. Very peaceful. Some of the songs make me think of angels singing. I would recommend this to everyone! This suite of songs is wonderful, but I can't help but be disappointed in the the production. The choir sounds muffled and either it seems to meld into the orchestra or be overwhelmed by it. The orchestra instrumentation doesn't sound crisp to me either. The talent and arrangements are there, but the final product is less than I had hoped for. 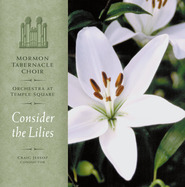 I just purchased this CD having thoroughly enjoyed Consider the Lilies, expecting this one to be as good and was disappointed--not in the songs or arrangements themselves but in the quality of the recording. I don't know if I got a bad CD or what but it just doesn't have the quality that Consider the Lilies does--the sound is not nearly as full and rich. I understand the purpose of the new sound quality, every voice is clearer than other recordings, I feel exelent the quality, is another perspective of the choir.